Product prices and availability are accurate as of 2019-04-19 20:48:35 UTC and are subject to change. Any price and availability information displayed on http://www.amazon.com/ at the time of purchase will apply to the purchase of this product. It is so important to keep your body on alert against attacks to your immune system. 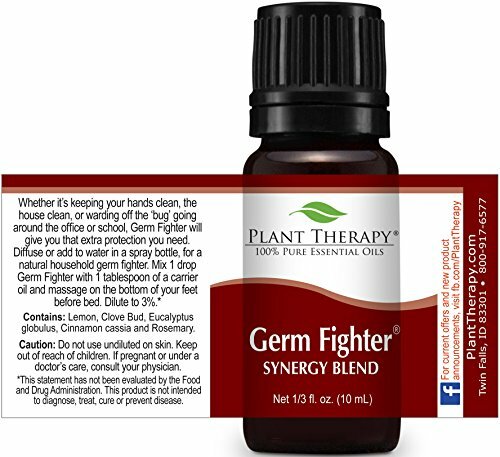 Whether it's keeping your hands clean, the house sanitized, or warding off seasonal threats going around the office or school, Plant Therapy's Germ Fighter Synergy will give you that extra protection you need. Plus, it smells great! Popular uses include diffusing in an open room, diluting with water and vinegar, and using as a household cleaner, or diluting appropriately and applying topically to your body. For children, try our fantastic companion KidSafe blend, Germ Destroyer. 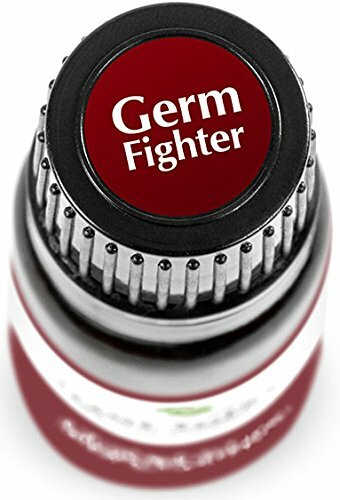 THE HIGHEST QUALITY: Our Germ-Fighter Synergy is created with only premium oils and is often chosen instead of other essential oil companies' germ-fighting oils. 100% PURE, UNDILUTED ESSENTIAL OIL SYNERGY: Contains a unique blend of Lemon, Clove, Eucalyptus, Cinnamon Cassia and Rosemary oils formulated to keep you and your family safe from germs. PERFECT AS A HOUSEHOLD CLEANER: Diffuse in an open room for a fantastic odor refresh or dilute with water or white vinegar in a spray bottle for an all-natural home cleaning solution. EASY TO USE: This is one of the most versatile and easiest to use oil blends available, but if you have questions, Plant Therapy's certified aromatherapists are happy to help via Amazon Messages. We welcome your questions and input! SO MANY WONDERFUL USES: To get the most benefits from our Germ Fighter Synergy, mix one drop with one tablespoon of your favorite Plant Therapy carrier oil and massage it onto your feet - works great applied at bedtime! For other topical uses, dilute to 2%.